Too. Much. Info. You’ve got social media numbers such as likes and follows, geographic information, analytics, API data, and individual reports. Great. But how do you make data useful? How do you take advantage of information in a timely and effective manner. A new startup in beta, HeatSync, looks to burn up the old-school tools and heat analytics to the next level. HeatSync is an analytics platform that collects, organizes, and then stores analytics in the cloud. A powerful comparison engine enables users to swiftly and easily compare any metric, from any website (and as many as you need) – from any analytic source. Answer the questions you need answered, and gain unexpected insights.  HeatSync builds a workable database of information from many sites such as Alexa, Compete, Facebook, Twitter, Klout and more. 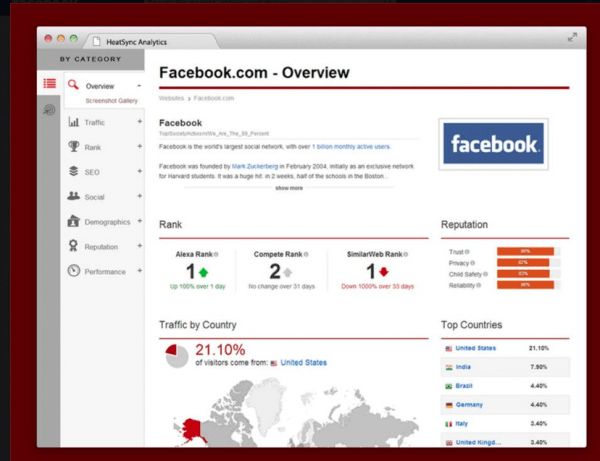 Sync your analytics. Follow your websites or the competition all in one location. Quickly add websites to track, and then let HeatSync do the work for you. 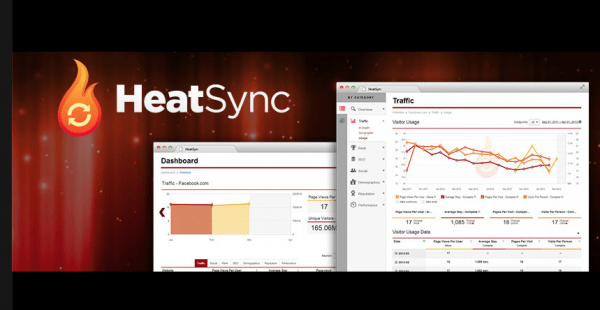 Spare yourself the time and hassle of gathering and organizing data, letting HeatSync automate the process. One analytics to rule them, one to find them, and in the heat bind them! If you’ll roll with the Lord of the Rings reference for just a moment, it’s almost evil how HeatSync brings together separate analytic sources. And yet, it’s an entirely good thing for any bootstrapping enterprise – saving lots of time and money. In days past, it might have taken an entire team to collect and sort the information HeatSync collects, not to mention, to then generate reports – store add retrieve information. Thank goodness those times are long gone. Cloud storage conveniently takes care of book-keeping headaches. HeatSync provides one easily-accessible, secure location to turn to for analytics whenever needed. A simple, uncluttered dashboard makes it easy to view key metrics and visualize findings. Real-time tracking gives you all the latest and most pertinent information. Website profiles break information down into digestible capsules. Extract the detailed information you need painlessly, whether its traffic metrics, social statistics, internet chatter, website uptime and performance, and more. HeatSync is not only about up to the minute analytics. We tend to want to know what’s happening NOW. However, it’s important to keep long-term developments on the radar. 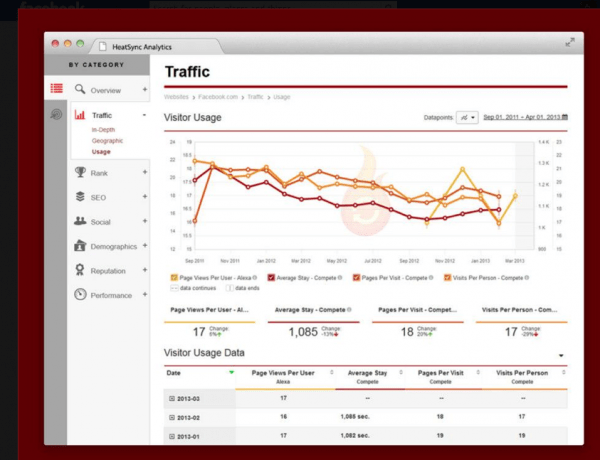 Because HeatSync stores data, historical analytics allow users to better understand a website’s progress. While HeatSync is in beta, take advantage of a free membership. What’s to lose? Turn up the heat and brighten your analytics! For more information, find HeatSync on Facebook, Twitter, and LinkedIn.